Six healthier Aussie meat favourites for around $7.50 each. And none that you actually have to prepare! Count us in. That’s right. Affordable and healthy family meals DO exist. And you don’t even have to sign up for a weekly subscription to get them. In fact, all you have to do is go to Woolies. Get excited mums, because we have recently discovered healthier, easy, affordable, products that taste AMAZING and come with a serving of guilt-free goodness. Known as Perfectly Balanced, these products are a far cry from the TV dinners I remember as a kid. First of all, they are actually healthy and loaded with meat and veg. 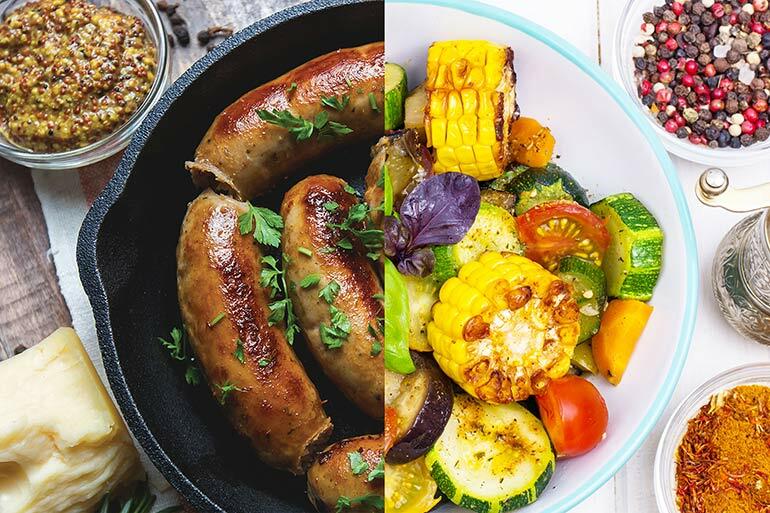 They have a generous amount of vegetables and legumes in each product to reduce the fat and salt content that is typically found in meat products. 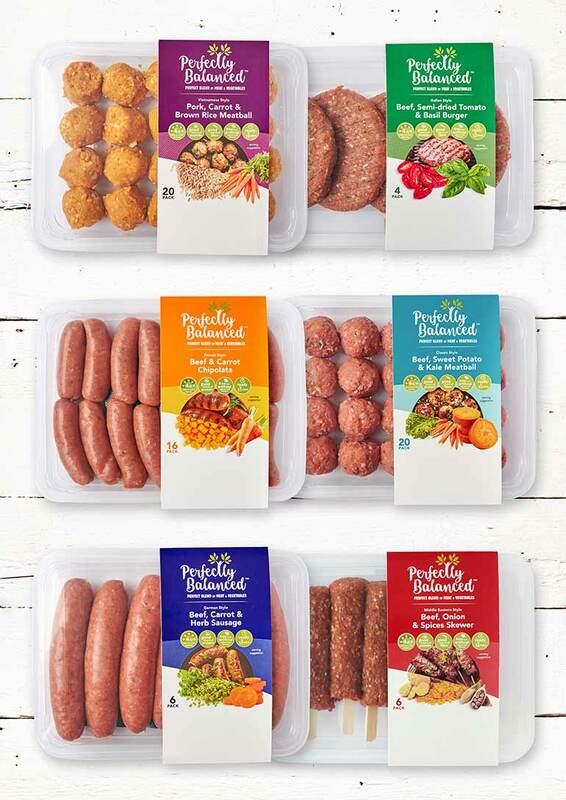 In fact, Perfectly Balanced’s range comes with no artificial flavours or colours AND all products contain 100% Australian beef and pork, which we also LOVE! Second, they save you the time and effort of having to prepare foods that have hidden veggies in them. Because, let’s face it, 99% of us know the struggle of sneaking veggies into meals so the kids won’t complain that “something green” is touching their burger. The carrot grating, bean blending, potato chopping is already done for you! 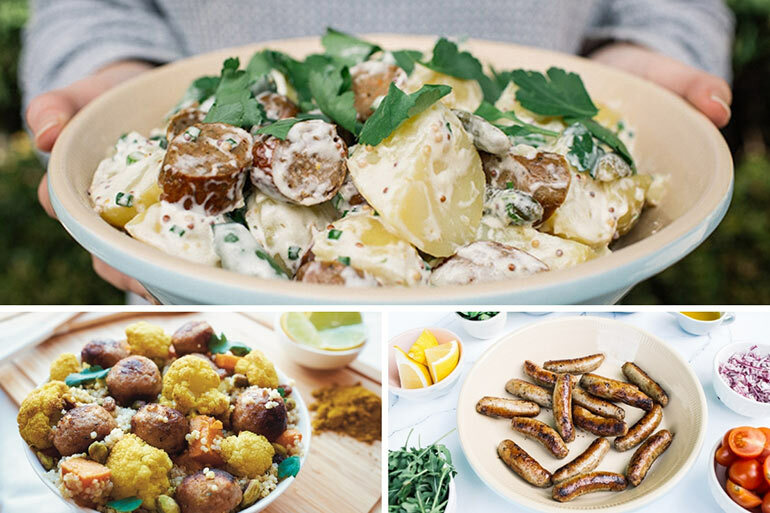 The range includes classic family faves like sausages, meatballs, burgers, skewers and chipolatas, all with hidden veggies and herbs. Yum right? And trust us, they taste just as good as they sound! As close to home style cooking as you can get. Without the whole faffing about forever in the kitchen thing. These little lifesavers are designed for those days of the week when swimming lessons finish at 6pm (Tuesdays in our house) or when leaving the office before 5.30pm is impossible. They are also great for those days when you realise you forgot to take the meat out of the freezer before you left the house (pretty much every second day). Or when you discover you don’t have half the ingredients you thought you had (seriously, WHERE do diced tomatoes go??). And especially on those evenings when you honestly cannot be bothered to whip up a massive meal from scratch. AGAIN! Okay, so basically they are good for any day of the week. And from $7.50 a product they are also super affordable! You can cook them in the grill, oven, fry pan or BBQ. Serve on their own or make them a little bit fancy if you want. 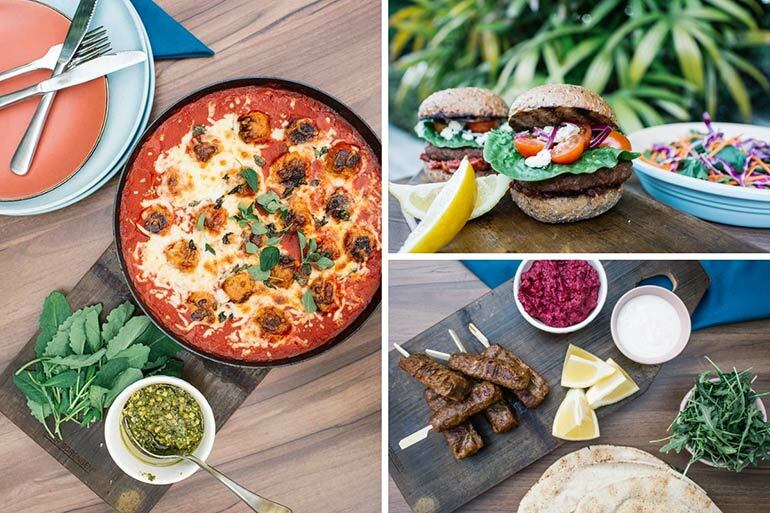 Perfectly Balanced has HEAPS of cool and quick recipes to try on their website that we highly recommend you check out. Pick up all six Perfectly Balanced meal options from the fresh meat section at Woolworths. Grab a few during your next weekly shop and treat yourself to a night off the massive meal prep. Ditch the stress of having to chop carrots, make mince patties and convince your kids you’re not trying to poison them with salad. Instead, pour a wine. Cook dinner on the BBQ. Add a side if you want. Turn the TV on. Relax. And indulge in a meal that isn’t a struggle to make or clean up from. You deserve it. Hell, we ALL deserve it! So, cheers, mums, to finding that perfect balance between effortless prep and healthier meals that also happen to taste great with wine. This is a sponsored article for Perfectly Balanced.